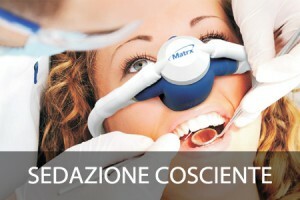 Dr. Matteo Mezzera’s dental clinic opened in Lecco in 2006 with the purpose to offer a high-quality dentistry to any kinds of patients, so that everybody can smile with no problem and relate to the others with no inhibition. 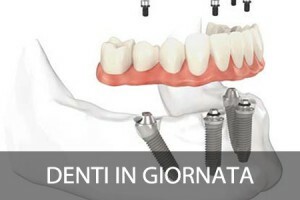 Our well organized and comfortable clinic tries to meet the most demanding customers‘ expectations by always keeping up-to-date with the innovations in the field. The dental clinic, which became a dentistry centre in 2014, offers many custom designed services, from diagnosis to therapy. It has 5 different operative rooms. One of these is for oral surgery and implantology. The high professionalism and the great ability of the medical staff, together with the use of the best brands machinery, ensure high-standard services. The centre guarantees that the medical services offered are always high-quality services and that the patients feel “protected” at any moment, from the sterilization to the result of the treatment. In order to achieve the goals which have been set the centre has got the UNI EN ISO 9001:2008 certification, which contains all the protocols followed in the centre. and ALL ON SIX technique In order to make the treatment more comfortable we have decided to cooperate with an anaesthetist to give a feeling of comfort and calmness. 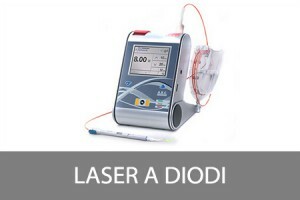 The LASER technology used at the Dentistry Centre allows to work without anaesthetics because it is PAINLESS.